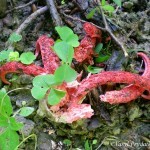 Rare Archeri predatory fungi Anthurus archeri has been found by the author in the Carpathian Mountains in June 2010, near Modjarosh and Shajan village. The news was published by BioModel team this year (in conclusion part of the article). 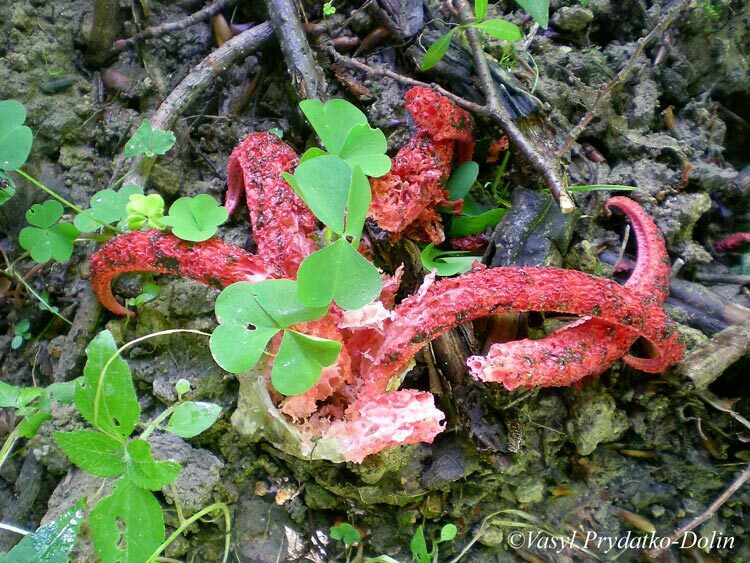 It is not new but additional observation of the species in Zakarpatty Region after 2007. So, this local expansion of it takes place possibly. Taking into account the fact that original habitats of this allien species locate in the tropics and subtropics, and that well known warming has place indeed in the Carpathian Region, it makes sense to build operatively GLM-scenarios for it by 2030 and 2050 based on GLOBIO methodology, and which examples BioModel has demonstrated at the web.